Believe it or not, the demand for tiny homes rises every year. The trend of micro-houses is a solution to spatial constraints and rising housing costs. These mini houses are growing in popularity among dwellers and some cities but are not without their own controversies. Nonetheless, micro-houses help people who otherwise could not afford housing to be able to own or live in their own home. Tiny houses are any houses that have less than 400 square feet in floor area. This does not include space in lofts, which many of these micro-houses include. Marjolein in Het Klein helps differentiate, “a Micro Home is an even smaller, mobile dwelling unit that is very suitable for travel, for example for digital nomads. 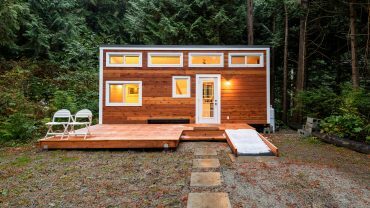 Whereas a tiny house, or a Tiny House on Wheels (THOW) can be moved, but isn’t designed for constant travel.” Generally, these are affordable structures that aim to be ecologically friendly. Some of these houses are constructed by amateur builders. These homes are compact and seek to maximize all of the available living space. For example, space is often multifunctional in order to make the most use of the limited area.” In addition to freestanding structures, there are also micro-apartments that can accommodate dwellers. Why Are Cities Joining the Tiny-Housing Market and The Demand for Tiny Homes? Simply stated, cities often have more people looking for housing than they have land and available housing units. This leads to rents that are not affordable and, in a worst-case scenario, homelessness. Cities are turning to tiny houses to solve housing crises. The demand for tiny homes in cities like these are everlasting. For example, Seattle has allowed the building of several tiny home villages to house the homeless. Portland is the city with the largest number of tiny houses. City Lab describes, “other cities are building tiny homes to allow teachers to live in a community that they otherwise could not afford. Like one found in Arizona.” One benefit of tiny homes for cities is allowing them to maintain their tax base without becoming overcrowded. While micro-homes sound great in theory, they are not without controversy. All Storage Online explains, “residents of neighborhoods where micro-apartments are being developed have legitimate concerns about parking spaces, new tenant involvement in the community, and where all the trash will go.” In addition, some people think of micro-home parks as nothing more than gentrified trailer parks. While some cities have welcomed tiny houses into their midst, others make it exceedingly difficult to have micro-homes in the city limits. Those cities have passed strict zoning laws, in order to keep micro-homes away, that require builders to either be creative or build in the suburbs. 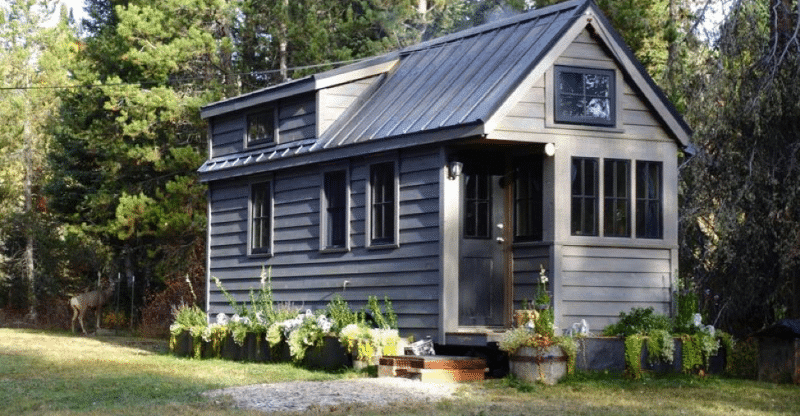 The tiny home revolution is just in its beginning stages. Public opinion about these novel houses is still forming. Nevertheless, there are real benefits for cities to incorporate this form of housing into their master planning. Here is a handy guide for building your own tiny house, and how you could start living the minimalist life!